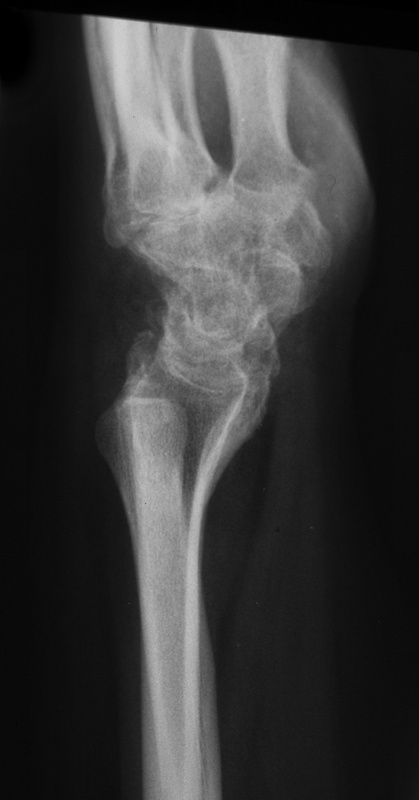 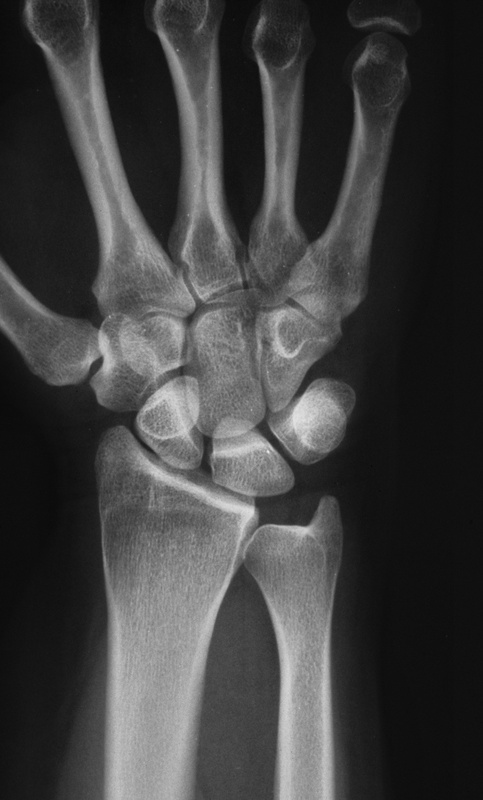 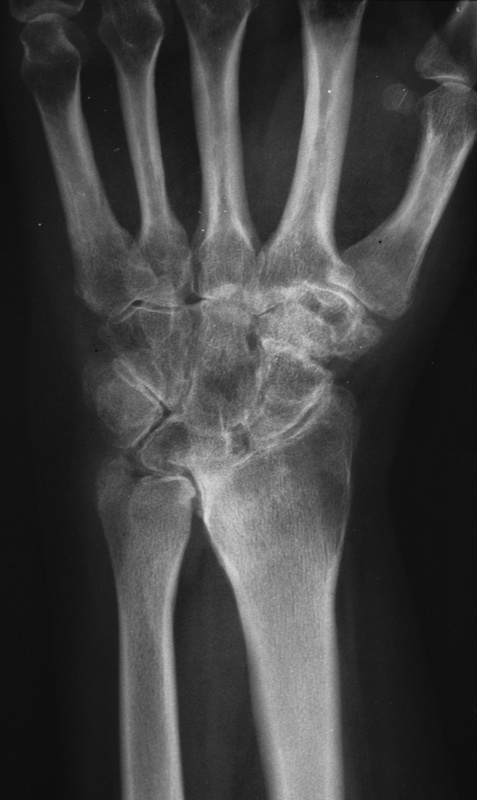 This woman in her 30's presented with left wrist pain and was found to have inflammatory osteoarthritic changes throughout her wrist, distal radioulnar joint and thumb basal joint. 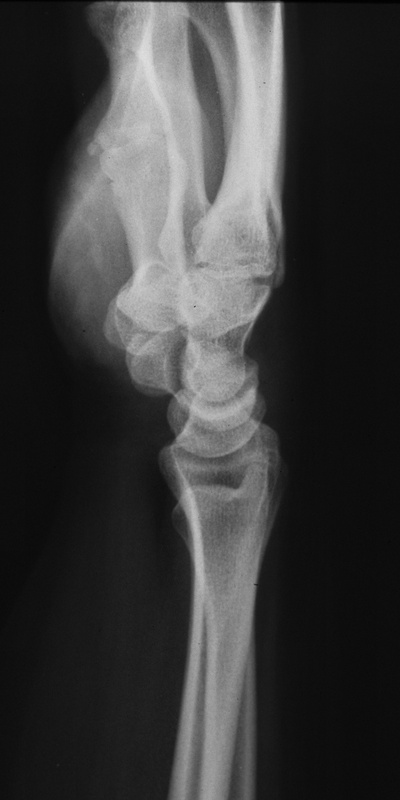 Blood tests were normal, including rheumatoid factor, antinuclear antibody, sedimentation rate, uric acid, and complete blood count. 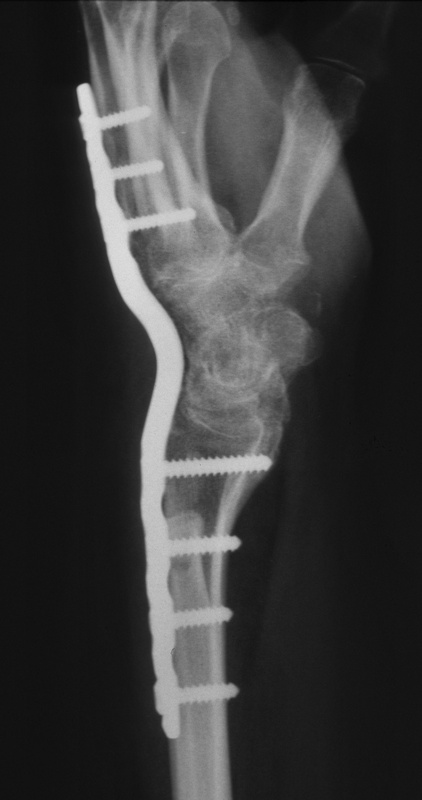 She was treated with nonsteroidal oral antiinflammatory medication and splints. 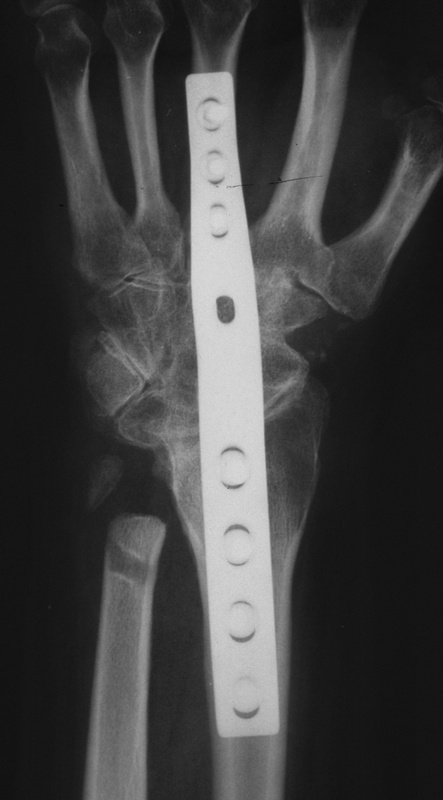 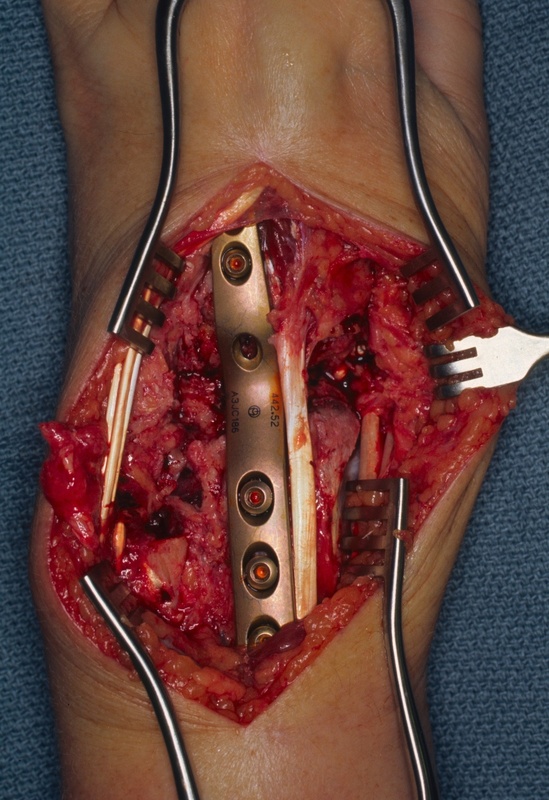 She had progressive deterioration over two years with worsening pain and instability.